The event is free to attend and will begin at 1pm. Food & drink available. Kid friendly. Pet friendly. 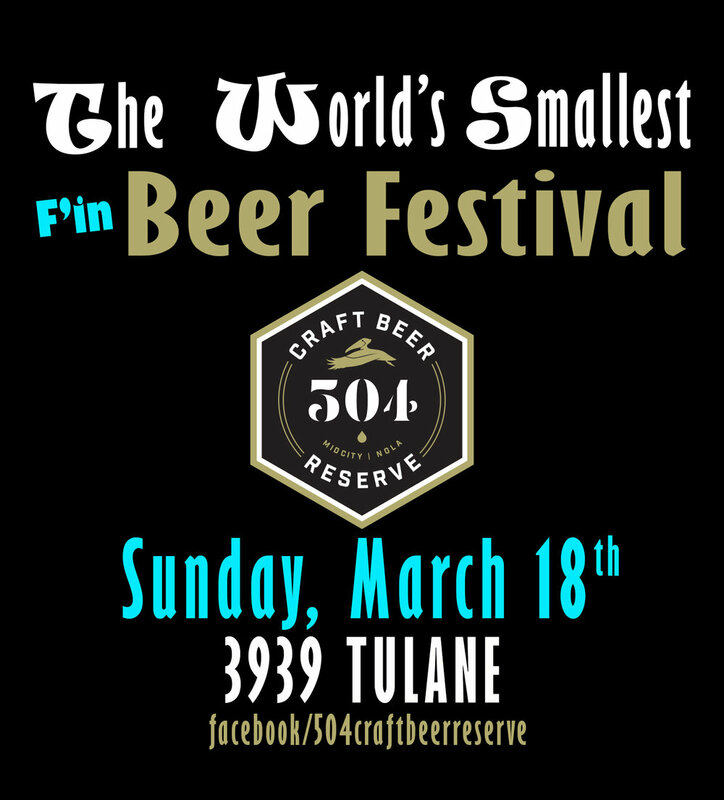 Celebrate American Craft Beer Week at Louisiana's Smallest Beer Fest at 504 Craft Beer Reserve. 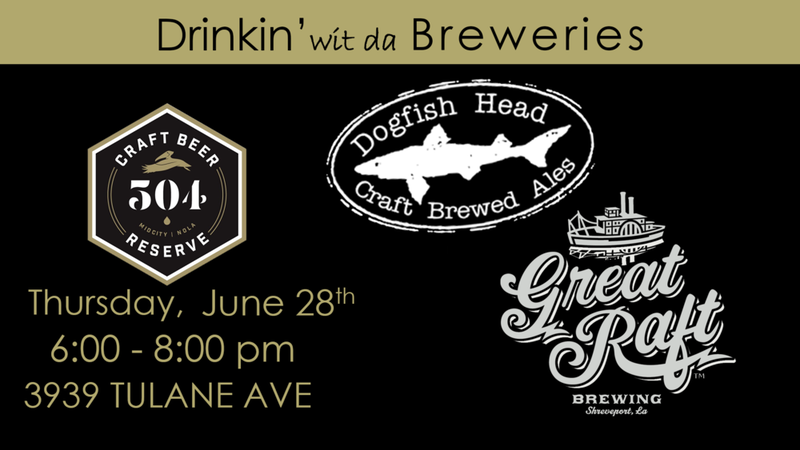 Free beer samplings, seafood boil, The Mid pop-up, and plenty of fun & games. Some of the local specialty beers include.... Nola's Moon Shoes, Urban South's Finial and a new Pils from Second Line. In celebration of our 2-year anniversary and the re-launch of our full concept, we are throwing a huge party! Brewery reps will be here sampling their beers from noon till 4pm. Crawfish and other food items available. Plenty of games & prizes for your enjoyment. 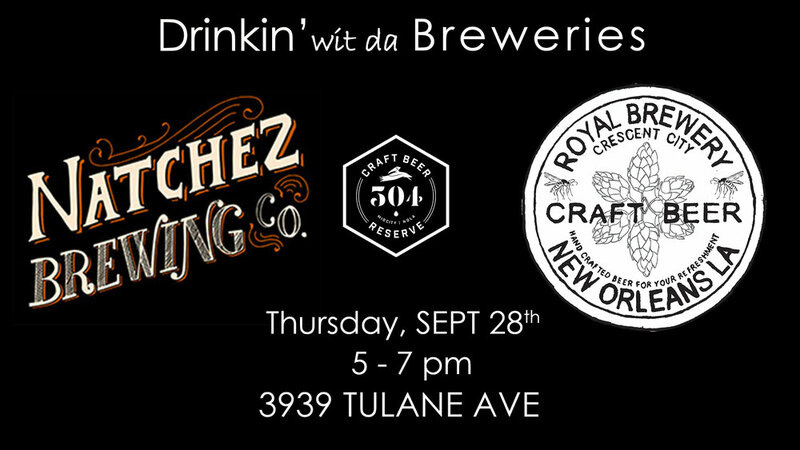 Come see the "New" 504 Craft Beer Resere and celebrate craft beer with us. 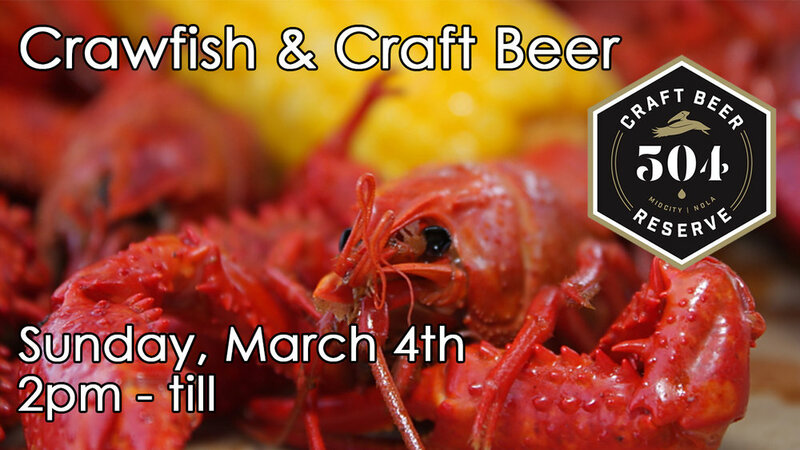 Come eat crawfish and drink great craft beer. $20 gets you 3lbs and all the fixings. The Mid is popping up at 504 Craft Beer. Come eat some Asian-Fushion cuisine while Drinkin' wit da Breweries! Join us this Saturday for a day of beer, food and corn hole! Call the store to register your team now for am chance to win great prizes from Bell's Brewing & 504 Craft. Free admission & food! Call for details on the white elephant exchange. In case you missed it last time, Chafunkta will be here sampling their new juicy IPA, Lemmings. Plus a special appearance by Atelier Vie Distillery sampling a few of their spirits.